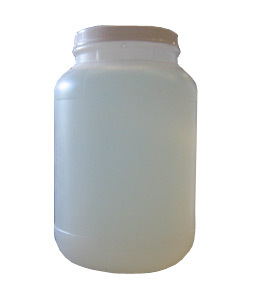 (gallon or quart size) is an inorganic liquid hardener, has a temperature grade rating of 1260°C (2300°F). It is generally used to increase the durability and surface erosion resistance of Fiberfrax blanket, module, and board products. Kaowool (Inswool) Rigidizer is stabilized against freezing during exposure to cold; however, freezing should be avoided. If you live in a freeze area do not order this during winter months. Clay Planet will not be held responsible if it freezes. Select Quart or gallon size above. -To verify depth of penetration of the rigidizer product, a food grade dye can be added to give color to the rigidizer. This will not harm material or the rigidizer. Kaowool (inswool) Rigidizer must be protected from freezing. Normal shelf life is twelve months in unopened containers that have been properly stored. Kaowool (inswool) Rigidizer is applied by brushing, dipping, rolling, and spraying. Suitable respiratory protection and ventilation are required when applied by spraying. Kaowool (inswool) Rigidizer receives its bonding action from the removal of physical water. Bonding may be accelerated by heating or over drying. Curing is a function of the size of the shape and its geometry. Inswool Ceramic Fiber Blanket - Box of 50 Sq. Ft.
50 Square Foot Box, 6# HP Kaowool Blanket.